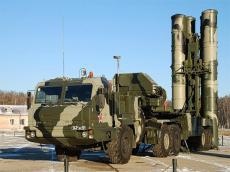 The Russian S-400 SAM systems to be delivered to Turkey are not directed against NATO members, Turkish Foreign Minister Mevlut Cavusoglu said, Turkish media reported July 6. The head of the Turkish diplomatic agency noted that, the acquisition of the S-400 can not affect relations with the United States. "US President Donald Trump does not want to spoil relations with Turkey," Cavusoglu said. Washington and Ankara agreed earlier the supply of about one hundred F-35 fighters. The agreement between the Turkish Government and Lockheed Martin Company on the F-35 supply was signed in May 2017. Earlier, representatives of the US Democratic Party took the initiative to cancel the supply to Turkey of the fifth-generation F-35 fighters due to the purchase of Russian S-400 air defense systems by this country. Turkish Foreign Minister Mevlut Cavusoglu said that, the Turkish authorities will take countermeasures if Washington blocks the supplies.